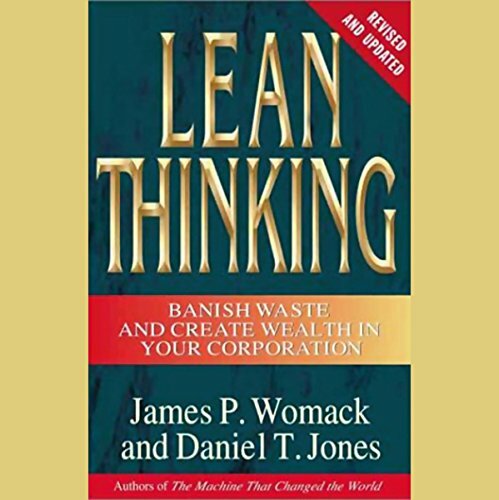 In their best-selling business classic Lean Thinking, James Womack and Daniel Jones introduced the world to the principles of lean production, principles for eliminating waste during production. 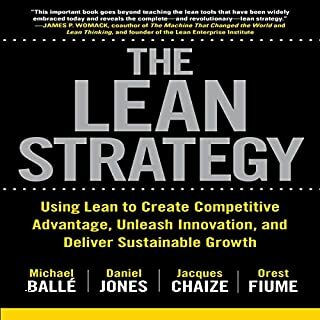 Now, in Lean Solutions, the authors establish the groundbreaking principles of lean consumption, showing companies how to eliminate inefficiency during consumption. Use the power of creative thinking to become more attractive with a makeover for your mind! It doesn't take a high IQ, or reams of knowledge, or a great personality. All it takes is creativity, imagination, and empathy - all techniques that anyone can learn. 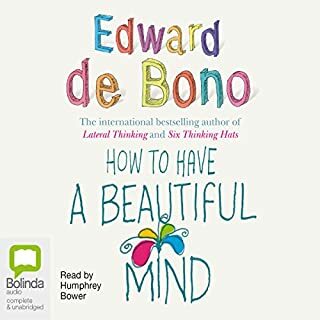 Here Edward de Bono, world-famous for changing the way people think, shows you in clear, practical language how to impress people with simple conversational tactics. 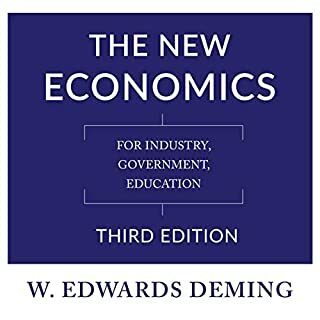 Expanded, updated, and more relevant than ever, this bestselling business classic by two internationally renowned management analysts shows how companies of any size in any industry can seize opportunities in the post-bubble economy. 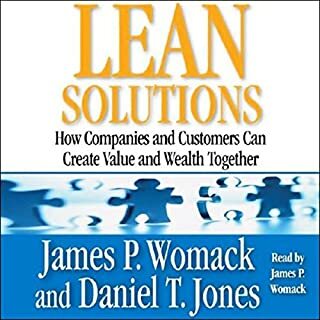 Instead of constantly reinventing business models, lean thinkers go back to basics by asking what the customer really perceives as value. 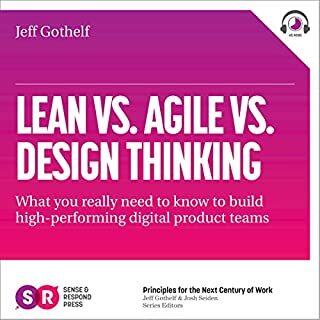 The next step is to line up value-creating activities for a specific product along a value stream while eliminating activities (usually the majority) that don't add value. 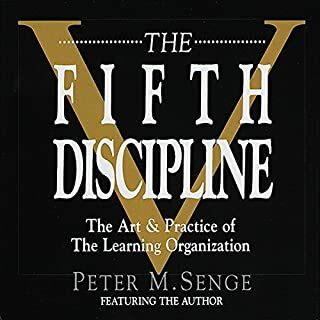 Then the lean thinker creates a flow condition in which the design and the product advance smoothly and rapidly at the pull of the customer (rather than the push of the producer). 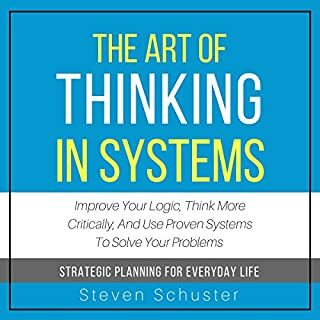 Finally, as flow and pull are implemented, the lean thinker speeds up the cycle of improvement in pursuit of perfection. The first part of this book describes each of these concepts and makes them come alive with striking examples. 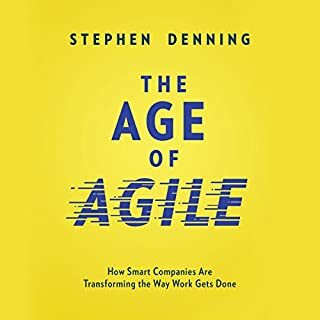 In Part IV, an epilogue to the original edition, the story of lean thinking is brought up-to-date with an enhanced action plan based on the experiences of a range of lean firms since the original publication of the book. ©1996, 2003 James Womack and Daniel Jones (P)2003 Simon & Schuster Inc. All Rights Reserved. AUDIOWORKS is an imprint of Simon & Schuster Audio Division, Simon & Schuster Inc.
Great detailed but yet to the point scenarios with every methodology explained... must listen for any Operational Professional. This audio is probably 1/8th of the book. And they don’t tell you that when you’re paying for it. A shame considering the topic has plenty more content in the book. There is some good content here. I suppose. There's got to be, because Womack's work has been so influential with very smart people. BUT, this is the best example I know of why you want a professional reader. Womack's narration is like a lethargic robotic toad reading aloud a tax return form. And I think this abridgement misses some of the good stuff. 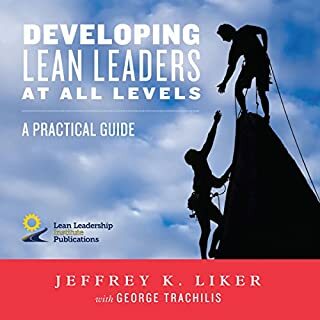 I was very motivated to learn about Lean Thinking, but still I could hardly listen to it. Avoid. Womacks voice is possibly the worst narration I have come across. The information is exceptional, but is almost impossible to assimilate because of his voice. If ever there was an argument for authors hiring professional readers, it is this book. 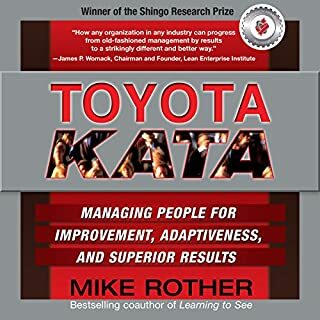 I have been part of supply chain management software support of a long time now and have gone through the various phases mentioned in the book. 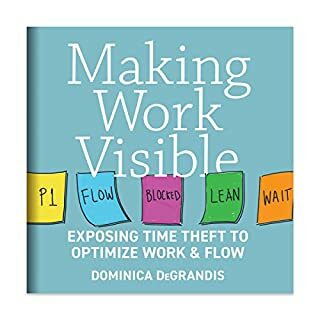 I've developed software to "optimize" the islands of production described and worked with others who would seek to "optimize" safety stocks. All because the process is broken -- we don't look at the entire value chain. 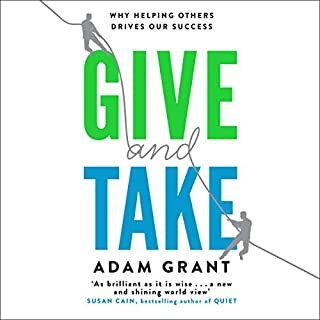 This is a must listen (probably to be followed up with a must-read book) for those seeking to transform their business or establish a new business. My favorite passage is thoughts on low cost geographies and where to position fabrication facilities. The only time (according to the author) it makes sense to location production in low cost geographies? The product is overwhelmingly ruled by cost *AND* there is sufficient stability to create very accurate forecasts. Even then, you must consider exhange rate variances and political (here and abroad) variances. Overall, this is an excellent listen. Additional literature is available, but I haven't found any follow-up listens on audible.com. 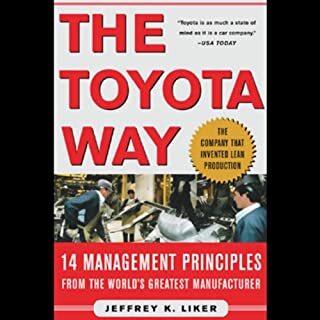 Lots of information, I had to listen to chapters many times to fully understand the concepts. All of the information was pertinent though and clearly expressed, just hard to wrap your head around. Paid for audio book to follow along with the hardcover book for school. 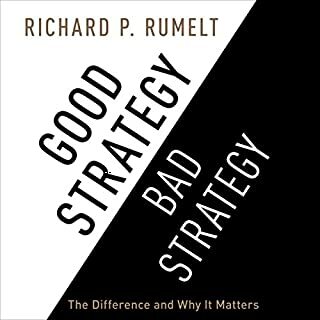 The damn thing however is missing the Case Study Chapters the heart of the applying the other book’s knowledge. IF I COULD SUE I WOULD FOR MISREPRESENTATION!!! I find this to be nothing new compared to other previous concepts and writings on quality. In fact Mr. Womack even admits that in quality management there are just competing vocabularies. 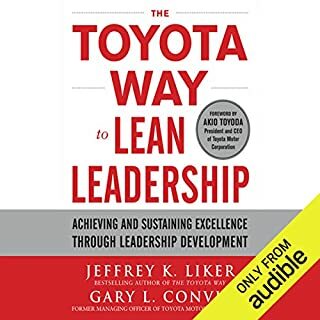 Lean is just rebranding of well-established management thinking. 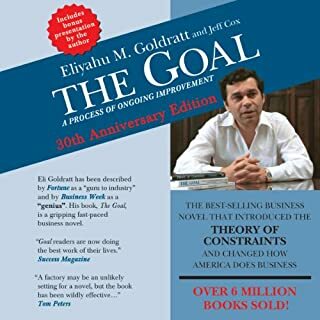 For a better read, check out Eli Goldratt. this is not the full book at all . this is not the full book at all. huge portions are missing I am very unsatifisfied. A must for any business. Just as relevant today as it was 20 years ago. For context, it may be helpful to read The Machine That Changed the World first. I am very much an admirer of James Womacks work. having read this before I got the audio book to brush up. James Woman should not have narrated it himself. He is unfortunately monotonous to listen to. 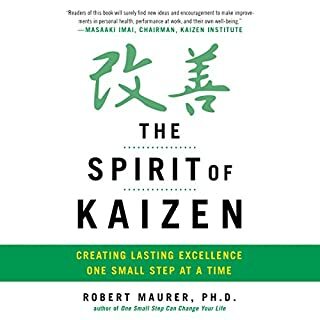 This book would certainly benefit from some lean management, it takes four hours to say what could be said in about an hour and a half! If you have any interest in producing an aluminium cola can then you are very fortunate as the author takes about twenty minutes describing the full process...it's painful! Having said that, I am probably being a little over critical because I was hoping for a strategic overview of the main principles and not a detailed operational step by step description. This was my first audio book. Given the need for continuous concentration on such a subject I often found myself rewinding to help my understanding. Struggled to get through it. Not enough information on how to and examples and advice are too high level and repetitive. 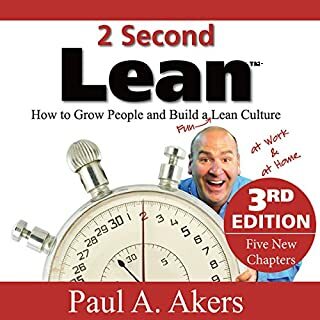 Fantastic introduction to Lean systems - would recomend it to anyone.